Formed during the 1st Succession War from the remnants of several SLDF regular army units as Baldwin's Cobras Heavy Brigade, the unit found their reliance on artillery frequently earned them the nickname "Crater Makers"; Alexander Baldwin responded by naming the Brigade the Crater Cobras. The 2nd Succession War took a heavy toll on the Brigade, which barely survived with the 789th Striker Regiment and the Black Cobra Regiment intact. The weakened command was hired by the Federated Suns in the wake of the 2nd Succession War, and found itself stationed on Deneb Kaitos. Not only did the Cobras refuse employment from the Draconis Combine, whose ruling House the command blamed for the collapse of the Star League, but their contract to the Federated Suns saw them engaged in numerous conflicts with Kuritan units. One DCMS unit, the 30th Dieron Regulars, initiated a blood feud with the Cobras, which eventually led to the complete destruction of the 30th. In 3025, the Crater Cobras were working for the Federated Suns, and were based on Deneb Kaitos in the Draconis March. A combined-arms unit at this point, the Cobra 'Mechs were a mixture of medium and assault weight 'Mechs, supported by medium weight fighters, armor and infantry. The 4th Succession War found the Crater Cobras redeployed during Operation RAT from Deneb Kaitos to Nopah alongside the Blue Star Irregulars, Redfield Renegades, 4th Davion Guards RCT, 33rd Avalon Hussars RCT and 4th Deneb Light Cavalry RCT. The Crater Cobras remained on Nopah during the first four waves of Operation RAT, but were soon deployed after the mid-war lull. In early 3029, the Crater Cobras, the 2nd regiment of the Screaming Eagles, 5th Syrtis Fusiliers RCT and 15 assorted conventional regiments were assigned to the invasion of Sarna. The capital of the former Sarna Supremacy, and perhaps the most important target of the second half of the war for the Federated Suns, Sarna maintained a political and symbolic importance within the Sarna Commonality, and was far from the front lines established during the fourth wave of Operation RAT. Rather than abandon the attack and face censure, the Crater Cobras and Screaming Eagles decided to go ahead with the attack on Sarna, but altered the attack plan to drop several hundred miles away from the original drop zone, in a position that would allow them and the remaining attached conventional regiments to prepare defenses and hold out for reinforcements. Unbeknown to the mercenaries, fake messages were received by their supporting JumpShip fleet indicating that the attack was going to plan, which led to them jumping out of the system, leaving the mercenaries stranded. The combined mercenary and AFFS forces manage to hold out for several months, inflicting more casualties on McCarron's Armored Cavalry than they received, but had their defenses breached and were on the verge of being overwhelmed when relief forces arrived. The relief forces didn't realize that they were relief forces until frantic messages from the Cobras and the Eagles reached them mid-deployment, but their arrival managed to save the mercenary units and eventually chase the Big Mac off Sarna. On the eve of the Clan invasion, the Crater Cobras were deployed on two worlds in the Free Worlds League; the 789th Striker were on Megrez, whilst the Black Cobras were on Cascade. The Crater Cobras were still in place in 3054, although by this point Colonel Richard Burr had taken over from Colonel Thomas Rabelais as the commanding officer of the Black Cobra regiment. Following the damage inflicted on the Crater Cobras in the 4th Succession War the unit took up service with the Free Worlds League. This was the beginning of a two-decade long period of service that would only end after Operation GUERRERO. The Crater Cobras suffered significant losses at the hands of terrorists who sabotaged three Black Cobra DropShips as they were prepared to deploy from Zurich to reinforce Nanking, and the resulting destruction of the DropShips left the Black Cobra regiment with just two companies of 'Mechs. Although the terrorists were originally believed to be Zhanzeng de Guang operatives, they were in fact Davion-loyalist terrorists. As the Black Cobras losses were suffered during a "non-combat situation", the LCCC refused to indemnify their losses, which led to the Black Cobra regiment leaving both the Crater Cobras and the employ of the Free Worlds League, reforming on Outreach as Burr's Black Cobras. Remaining at their station on Megrez in the aftermath,  the 789th Striker Regiment were appalled at the LCCC's treatment of their sister regiment and outraged at the general attitude of the LCCC towards mercenaries at this point, which led directly to them leaving the employ of the Free Worlds League, signing on instead with the one nation they had never served: the Draconis Combine. Their contracts with the Combine led to the Crater Cobras participating in several military campaigns; the first of these was against Clan Smoke Jaguar as a part of Operation BULLDOG in 3059, a series of engagements that took the 789th Striker Regiment from Jeanette to Albiero. This was soon followed by the Ghost Bear invasion of 3062, where the Cobras supported the 2nd An Ting Legion counter-attack on Richmond, which saw the Cobras helping to drive the 5th Bear Regulars from the planet. These two campaigns saw the 789th Striker lose all of their support units and more than a third of their 'Mechs, losses that the DCMS helped them replace when the Cobras took up garrison duty on Wapakoneta. The upheaval marking the beginning of the Jihad saw a number of units exercise escape clauses in their contracts and leave Draconis Combine service at short notice, actions that led to a wave of anti-mercenary sentiment sweeping across the Combine, sentiment that caused unrest on Wapakoneta despite the Cobra's loyal service to the Combine up to that point. The Cobras were soon one of the few major mercenary units still in the employ of the DCMS, and in late 3069 the Cobras boarded DropShips under orders to deploy off-world. While the orders originated within the DCMS, reports from 3070 placed the Cobras on Luthien, fighting alongside the resistance against Word of Blake forces. What hadn't been confirmed as at the end of 3071 was whether the Crater Cobras were fighting for forces loyal to the Black Dragon or the Loyalist forces, both of whom were actively engaging each other and the Blakist forces. Surviving the Jihad and remaining in the employ of the Combine, despite House Kurita's renewed anti-mercenary view, as of 3079 the Cobras were stationed on Alnasi alongside the 17th Benjamin Regulars. In 3067 Shelly Trudeau led Crater Cobras. He was a direct descendant of the original founder of Baldwin's Cobras Heavy Brigade, Alexander Baldwin, Trudeau inherited her ancestor's leadership and tactical abilities. The three Majors commanding the three battalions making up the 789th Striker were all former lancemates of Colonel Trudeau. They had a wide range of tactics from harassing over dueling to ambushes. At this point, the 789th Striker used Bravo and Charlie Battalions as striker units, equipping them with medium and heavy units. Alpha Battalion was the regimental assault force, fielding mixed companies of medium, heavy and assault 'Mechs. The unit owns all transport assets which includes 8 DropShips (6 Union-class, 2 Overlord-class) as well as 3 Invader JumpShips. The techs can provide excellent support for the entire unit. 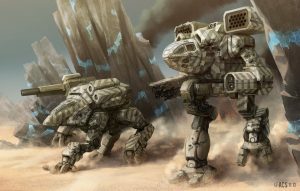 In addition to the two BattleMech regiments, the Crater Cobras had armor, infantry and fighter support. Note: At this point in time the unit was stationed on Megrez. In 3067 the regiment had been upgraded to the point that 70% of the unit were using advanced technology, technology that included some Kuritan-made OmniMechs and a company of Clan Mech's captured from the Ghost Bears and Smoke Jaguars. The 789th Striker still had an artillery battery attached to each battalion at this point, together with a command lance equipped with Clan 'Mechs. 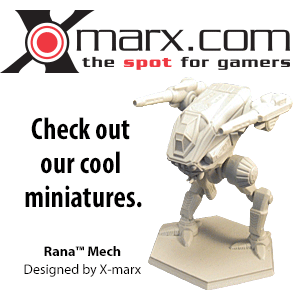 The regiment also deployed a command company, which also included a lance equipped with Clan 'Mechs. Despite the rebuilding effort and the assistance of the DCMS, the Crater Cobras were only at 90% of full strength by September 3067. - As of 3079, while the Cobras had expanded back to two regiments in size, they were only at 45% total strength, though they had a 90% upgrade rating. - As of 3085, the Cobras were at sixty percent of full strength and under contract to the Draconis Combine. The Cobras were garrisoning two systems, Huan and Misery. - As of 3145, the Cobras were at eighty percent of full strength and under contract to the Draconis Combine. The Cobras were garrisoning two systems, Avon and Yamarovka. When randomly generating force composition, the Crater Cobra player may roll 1 BattleMech using the Ghost Bear column of the Random 'Mech Assignment Table: Warden Clan Front Line (see p. 212, Field Manual: Updates) per company of total force fielded. The Crater Cobras receive a +2 Initiative bonus against the Ghost Bears. The Crater Cobras receive a +1 Initiative bonus against any other Clan force. The Crater Cobras do not succumb to any form of intimidation by Clan or Inner Sphere forces. Clan units must accept any challenge for an Honor Duel at Level 2 rules of engagement when challenged by a Cobra unit. Cobra units receive an additional -1 to-hit modifier when attacking any building. ↑ Shattered Sphere, p. 76 "Operation Guerrero - Aftermath"
↑ 15.0 15.1 Field Manual: Free Worlds League, p. 16 "Mercenary Troops"
↑ 18.0 18.1 18.2 Field Report: DCMS, p. 20 "Irregular Forces - Mercenaries"
↑ House Davion (The Federated Suns), p. 136 (pdf version), "Addicks PDZ"
↑ 20.0 20.1 20.2 Field Manual: 3085, p.160, "Mercenary Forces Deployment Table - 3085"
↑ 21.0 21.1 21.2 21.3 21.4 Field Manual: 3145, p. 182, "Notable Mercenary Forces"
Although they were in Free Worlds League service after the 4th Succession War, they do not appear in the unit breakdown in either Historical: Brush Wars or Historical: War of 3039. This page was last edited on 4 April 2019, at 15:51.